Enjoy a relaxed atmosphere and your favorite latte while you get creative! In this class you will create 3 cards with envelopes using different techniques. You will be using a variety of products. This class is great for the beginner that has never stamped before to the more seasoned stamper. Jill is a patient teacher and loves to share with new crafters the joy of cardmaking & rubber stamping. You are asked to make a $5.00 purchase at the coffee/smoothie bar. Enjoy a relaxed atmosphere and your treat yourself to a gourmet Sicilian/French fusion lunch and a class of wine, then we will get creative with some card making! In this class you will create 3 cards with envelopes using different techniques. You will be using a variety of products. This class is great for the beginner that has never stamped before to the more seasoned stamper. 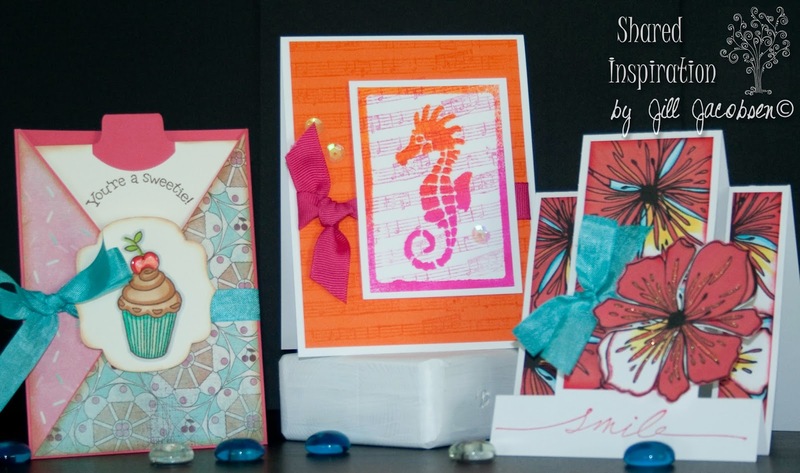 Jill is a patient teacher and loves to share with new crafters the joy of cardmaking & rubber stamping. The cost of the class includes your choice of 3 lunch menu items and a glass of wine, and your card making class. 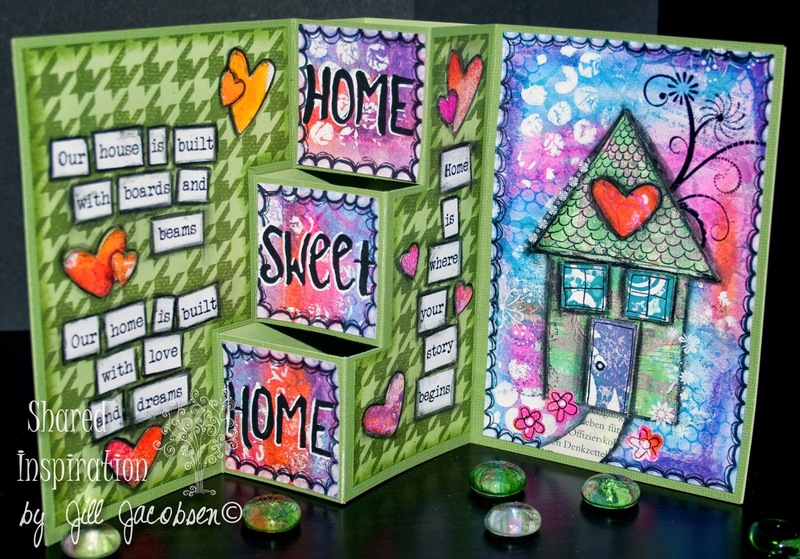 In this class you will create this block style card with the mixed media heart on the cover and the house on the inside. You will have a variety of verses that you can choose from for the inside. If you have gelli prints already made that you would like to use in your project please bring them. This will be a fun and creative class. Refreshments will be served. Please bring your basics supplies: Scissors, paper trimmer and adhesive. Picture of the cards to come soon. This class is held at Charms of Leffingwell Tea Room, a 100 year old Victorian home. Enjoy a relaxed atmosphere and a nice pot of tea with scones before we get creative making 3 cards. In this class you will create 3 cards with envelopes using different techniques. You will be using a variety of products. This class is great for the beginner that has never stamped before to the more seasoned stamper. 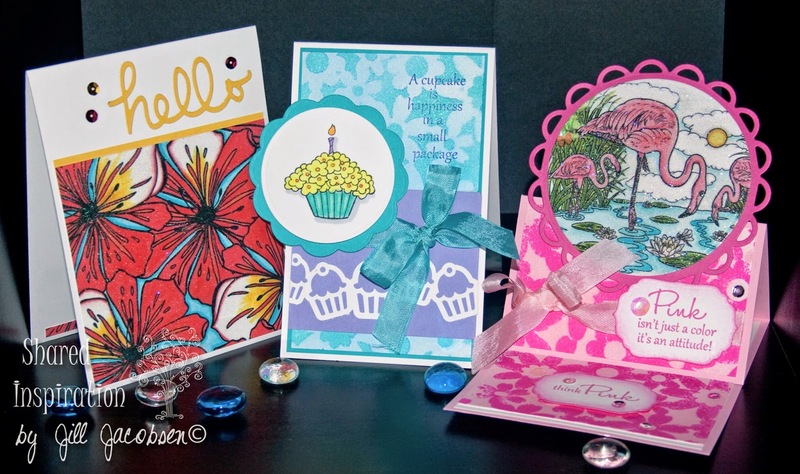 Jill is a patient teacher and loves to share with new crafters the joy of cardmaking & rubber stamping. After class feel free to meander through this beautiful home with room after room filled with treasures of the past.